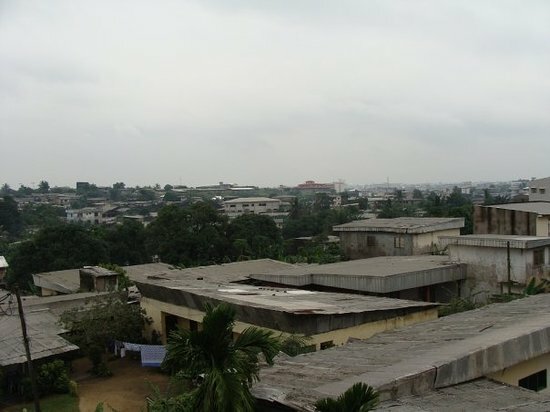 Douala (German: Duala) is the largest city in Cameroon and its economic capital. It is also the capital of Cameroon's Littoral Region. Home to Central Africa's largest port and its major international airport, Douala International Airport(DLA), it is the commercial and economic capital of Cameroon and the entire CEMAC region comprising Gabon, Congo, Chad, Equatorial Guinea, CAR and Cameroon. Consequently, it handles most of the country's major exports, such as oil, cocoa and coffee, timber, metals and fruits. As of 2010 the city and its surrounding area had an estimated population that surpassed 3,000,000 inhabitants. The city sits on the estuary of Wouri River and its climate is tropical.